QR Codes: Victorious or Disastrous? 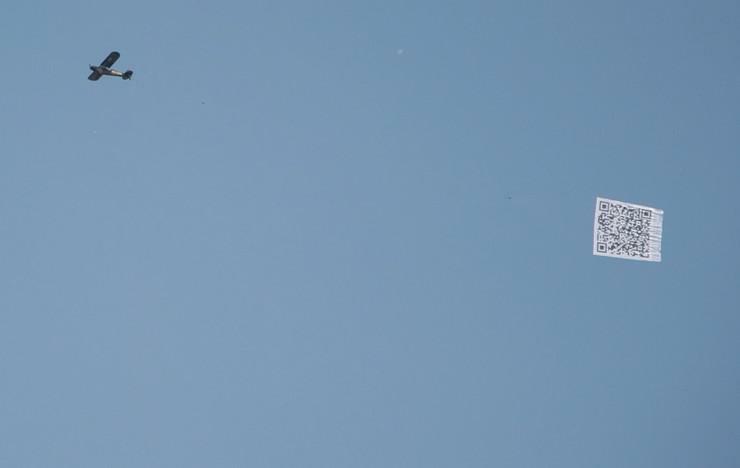 There is a love/hate relationship with QR codes for many marketers these days. Many people have difficulties finding the balance of where they belong, if they are actually useful and how much more business can really be generated from their use. If you are considering implementing QR codes into your marketing tactics, there are a few great reasons to use them – when they’re used correctly. A few good examples of the do’s and don’ts or QR codes can help ensure you don’t use them improperly. Yes – this QR code is fairly large and big enough to scan, it gives a clear call to action and emphasizes some of the important words. If you continue reading what the code is for, you will realize the placement of the QR code is absolutely terrible. Someone who is planning the biggest day of their life will probably not be looking for their wedding DJ on the back of, what appears to be, a sign for the metro-line. Its poor placement will probably not attract the audience you were looking for. Placement can mean a world of difference. Okay, let’s say that you have placed a really great ad in this particular location. Let’s assume that you know the audience who is seeing this is going to immediately be interested and want to know more about whatever it is you are marketing to them. You have to ask yourself one question: do you really know any males who are going to feel comfortable pulling their phones out in front of a urinal to snap a photo of your QR code? Again, this is another case where placement is going to severely change everything. You may not be running the Heinz Corporation, but you can take a few ideas off of their shelves. 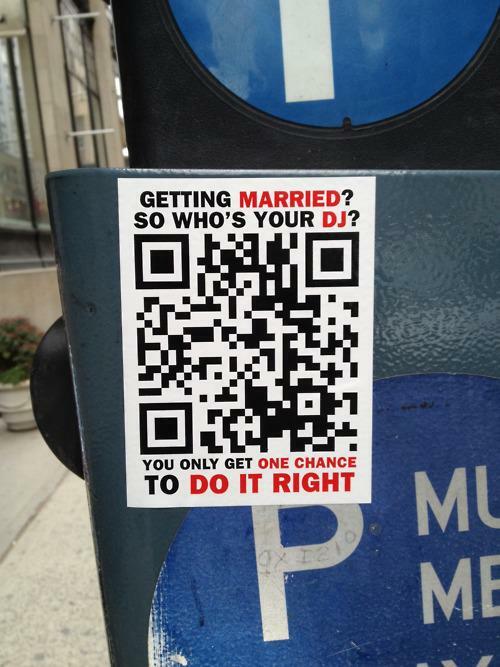 The placement of this QR code is phenomenal. 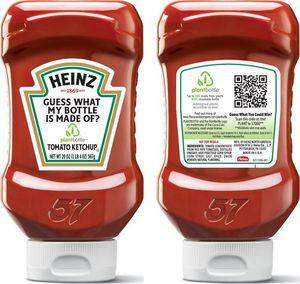 It’s going to be seen by your obvious target audience, Ketchup-eaters, and it’s going to be seen frequently – so even the code isn’t scanned immediately, eventually, the curiosity of the customer is going to explode. Not only that, but the bottle also offers prizes for answering questions once you’ve reached the destination of the QR code. 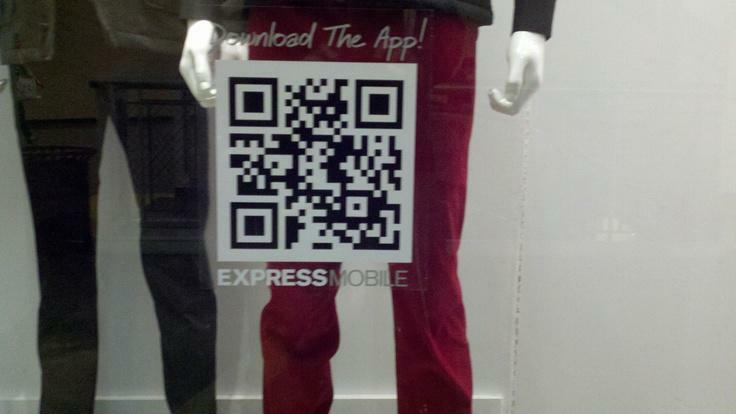 Your shop window is a great place to advertise a QR code even if it isn’t the Express Store. The code is large and can be seen by everyone, it has proper placement and once it has been scanned, it takes you to a mobile-friendly site where you receive a promotional code for a discount off of your purchase. This is an example of an excellent QR code because it has perfect placement and offers the audience a reason to scan it – a discount! Last but certainly not least, a major DON’T when it comes to marketing a QR code – don’t place it at an impossible height and make it completely useless and illegible. It’s hard to distinguish if this is a joke or truly poor placement, but remember that using a QR code is completely useless if the audience cannot scan it with their mobile device. QR codes can be beneficial for your business if they are used correctly. If you’re having trouble deciding whether or not to use a QR code, decide what it is you are trying to deliver to your audience before you begin stamping your products with these little black boxes. Other marketing advice can be found after signing up for your free newsletter. 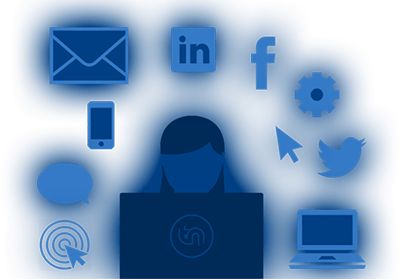 You will receive exclusive marketing tips and tools that you won’t find anywhere else.